We all know how good spinach is for us, but how many people actually eat it on a regular basis? It isn’t really the kind of vegetable that you would have on its own. It is more than likely that you would include a little of it within something else like a pie, soup or omelet. The other thing about spinach is that by cooking it you destroy a lot of the valuable nutrients that you are trying to get. The best way to get the most out of your spinach is to have it raw. You could have a salad with spinach but how much of this healthy stuff could you eat? The truth is that most of us would only be able to eat a small amount of spinach this way. You would soon get bored of it, especially if you had spinach salad meal after meal. One of the easiest ways to get all these nutrients in a tasty way is to make a spinach green smoothie. The thought of a spinach green smoothie might not sound that appetizing, but that is exactly what they can be. For a start of, a spinach green smoothie isn’t just made up of spinach. 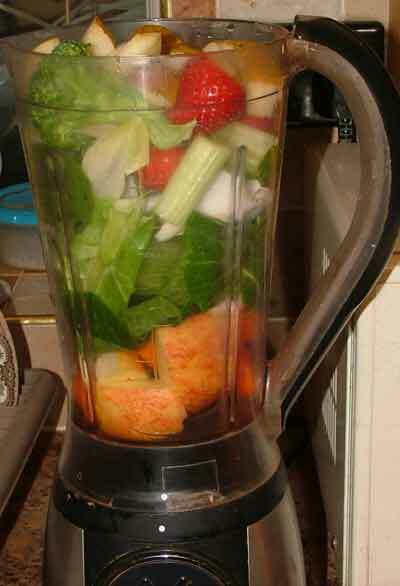 The reality is that green smoothies are made up mainly of fruit. The correct proportions for a green smoothie are 60% fruit and 40% green leaves. This means that it will mainly taste of fruit. This makes green smoothies a far more pleasant affair. Basically, the fruit of choice and the spinach is thrown into a blender and the whole thing whizzed up. 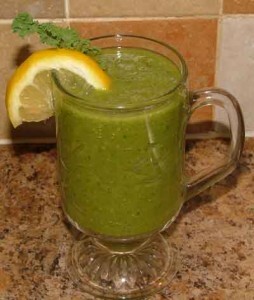 Here is an example of a spinach green smoothie recipe. This smoothie will taste of strawberries and peaches and will be very tasty indeed. However, as well as getting all of this fruit towards your five a day you will also be getting all of the nutrients from the raw spinach as well. It is thought that raw greens provide far more essential dietary elements such a raw amino acids, antioxidants and vitamins than even fruit. These will all go towards protecting your body against diseases such as cancer as well as providing valuable plant roughage as well. A spinach green smoothie can also be very helpful as part of a weight reducing diet. 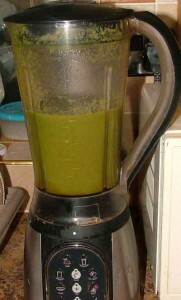 In fact green smoothies can even be used as complete meal substitutes when dieting. One sure thing is that, a spinach green smoothie is also healthy for the reason of the things that are left out of it. There are none of the artificial flavours, additives, trans-saturated fats, cholesterol and refined sugars that you find in modern processed foods. All of these things can cause havoc with your body, giving rise to conditions such as diabetes and heart disease. If you want to find out about over 200 more green smoothie recipes go to Green Smoothie Recipes.